The Comicon of the Philippines, Toycon, unveiled last night in it's Facebook Page this year's Toy Brand Ambassador. ZETA, the second installment in the Manila Killa Trilogy, the Toycon's new toy brand ambassador. Last year, it was TEQ 63. Both don the Philippine color. ZETA is the creation of one of the famous and award-winning Toy Designers in the Philippines, Quiccs Maiquez. Quiccs graduated from Ateneo de Manila University and is currently a Creative Director at Burnwater Design Studios. Toycon is the longest and biggest pop culture in the Philippines and Asia. Exlink Management and Marketing Corporation is the marketing and event manager of Toycon. For sponsorships and partnerships, you may email info@exlinkevents.com or call tel.no. 633-0153. 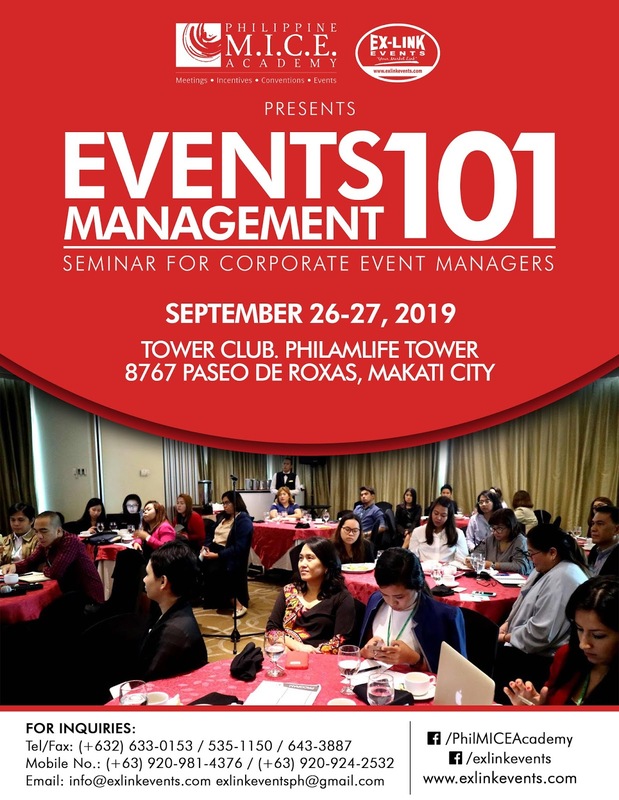 The much awaited and most requested Event Management 101 Conference is set this September 26-27, 2019 at Tower Club, Makati City. Event Management as a profession is rapidly growing in the Philippines. One reason is that people love to meet. Another trend is people that are involved in online groups have a strong desire to meet face-to-face. In addition, companies recognize the importance and effectivity of event marketing as a tool to generate leads and customers. This is the driving force for the growth of event management professionals, and the expansion of companies of their marketing department to have event management department or staff. The Event Management 101 Conference is a conference for aspiring event management professionals that are looking to learn more about the different critical success areas of event management. Aspiring event management professionals benefit from attending the Event Management 101 Conference because of the resource speakers are all successful practitioners in the event management industry. Most of the resource speakers are coming from the Philippine MICE Academy. 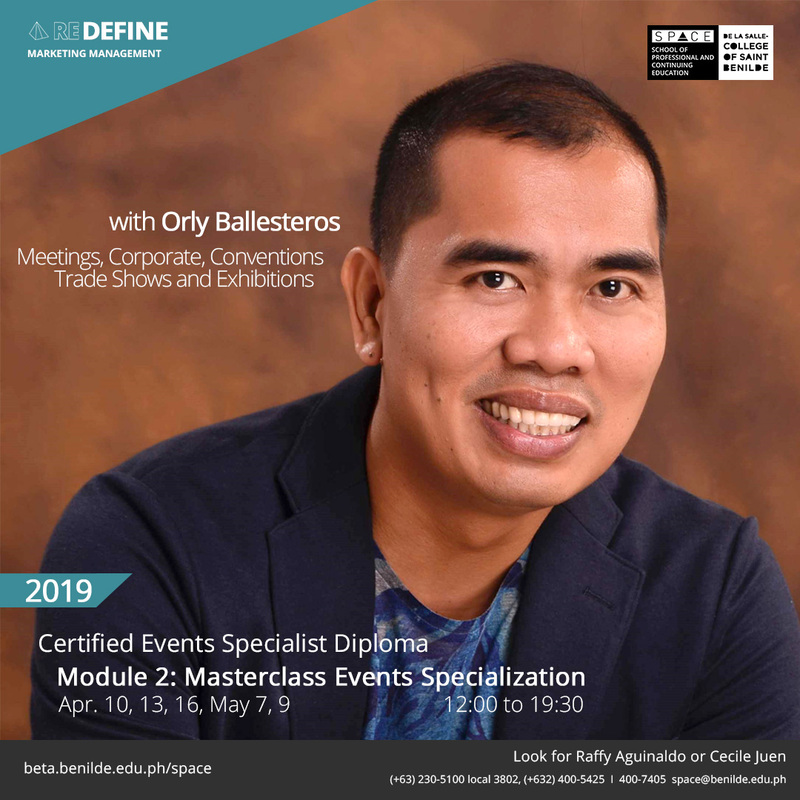 The only institution in the Philippines that is Preferred Provider of the Event Industry Council to offer Certified Meetings Professional (CMP). The advent of Philippine MICE Roadmap under the stewardship of the Department of Tourism, Bureau of Investment and Philippine MICE Academy further speed up the growth of the event management industry. The Philippine MICE Roadmap gives the event management industry a guide on what key results are to expect on what the Philippines will achieve in the year 2030. Registration is now open, you may call tel. no. 633-0153 or email at info@exlinkevents.com. Exlink Management and Marketing Services Corp. is the event organizer in partnership with Philippine MICE Academy. Visit www.exlinkevents.com for more information. The School of Professional and Continuing Education (SPACE) of Dela Salle College of Saint Benilde will have Exlinkevents COO, Orly Ballesteros, as its MICE Resource Speaker. Orly Ballesteros is a 19-year MICE Professional. He is one of the current Board of Directors of the Philippine Association of Convention and Exhibition Organizers and Suppliers (PACEOS). In addition, he is the Board Secretary of the Tourism Congress of the Philippines. The Meetings, Incentive, Convention and Exhibition (MICE) Industry has been growing every year in the Philippines. The launching of the Philippine MICE Roadmap further boosts the industry. This prompted the Department of Tourism (DOT) to conduct a series of activities that will support the achievement of the Philippine MICE Roadmap. For more information, visit http://beta.benilde.edu.ph/space.html. Toycon, the much awaited and longest running pop culture event in the Philippines, is set this June 28-30, 2019, at SMX Convention Center. Toycon – Where Asia Comes to Play! Toycon’s new tagline indicates the direction of where it is going. It is an International event that will flex its muscle to further increase the international visitors that are coming. This all means that a better and grander line-up of activities is expected this year. These activities are guaranteed to give the fans and fence watchers enjoy Toycon even more. Toycon generates 30,000 visitors annually in its three-day event. This year it is expected to surpass this number because of the increasing number of foreign visitors that are planning to come and see the Comicon of the Philippines. Fans and visitors of the Toycon are in for a treat. There will be more international and local brands participating in this year’s event. The more exhibitors and displays, the more fans and visitors will have memorable experiences from this year’s event. A lot of new things will happen in this year’s Toycon. There will be a lot of exclusive toys, Toy Designers, International Artists, Jpop Rock Concerts, and surprise activities that will send the fans and visitors to cloud 9. Just keep visiting the Toycon’s Facebook Page, and website for updates. Exlink Management and Marketing Services is the event managers and marketing partner of Toycon. For partnership and sponsorship, call tel. no. 633-0153 or email info@exlinkevents.com. Toycon revealed a new logo last night at exactly 9pm on their Facebook page. 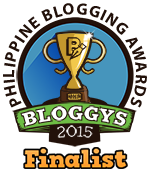 The Toycon logo created buzz and positive reactions from the fans. The longest running and largest pop culture event in Asia presented a logo to cater to the growing millennial and international visitors that come every year to the event. It is now an International event that will flex its muscle to further increase the international visitors that are coming. Toycon is the Comicon of the Philippines! Toycon is the undisputed Comicon of the Philippines. It started the pop culture revolution in the country. Now, it is capturing the heart of pop culture enthusiasts in Asia. This year is, the 18th year, and thru the years it has been adding value and making different toy and pop culture communities in the Philippines united. One of the things you should anticipate are the exclusive toys that will come out of Toycon. This year there will be more exclusive toys that will come out in Toycon. And if t you are a toy collector, it will be one of those moments that you can call heaven sent. When there are exclusive toys not far behind are the Toy Designers. There will be more local and international toy designers that will grace this year’s event. As if exclusive toys are not enough, you are getting spoiled here. The era of influencers is here. Toycon is giving the community the taste of the future and beyond. There will be international influencers that will step into the massive doors of the undisputed Comicon of the Philippines. The international artists are a staple of Toycon. You have to watch out for the international artists. For now, the guessing game continues. We love music, who does not? This year, a popular Japan rock band in collaboration with one of our local legendary band will hit the stage of Toycon. But more the two bands, other idol groups are also joining the fray. You will rock your heart out, guaranteed! Toycon’s Toy, Comic and Gaming Exhibition! Toycon’s line-up of exhibitors just got bigger. And more international brands are coming to town. So start saving and ready your collection instinct, because you will need that this year! Toycon is proving indeed it is a new playground. And you definitely are part of the reason why? So cheers and always check out the Toycon facebook page and the website for more updates. 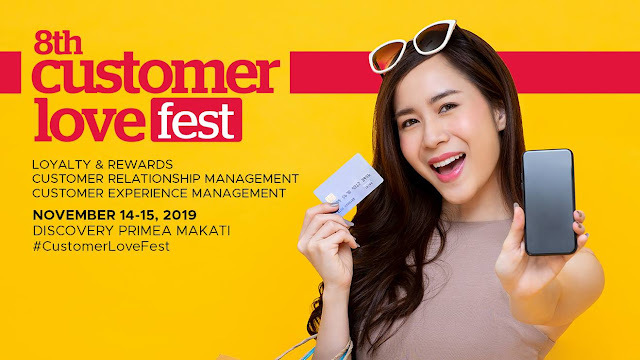 The 8th Customer Lovefest - Customer Experience Management Conference in the Philippines is set this November 14-15, 2019, at Discovery Primea Hotel, Makati City. The Customer Lovefest is the pioneer and leading conference in the Philippines that discuss Loyalty and Rewards Program, CRM, Omnichannel, and Customer Experience Management. Customer Experience is becoming one of the most important battlefields among companies trying to win an edge versus their competitions. For 8 years, Customer Lovefest has become the event for Loyalty Officers, Rewards Managers, CRM Officers, Digital Marketing Managers, Customer Experience Officers, and Managers, Chief Marketing Officers, Presidents, and Owners. Last year, the event is a resounding success registering a high Net Promoters Score (NPS) of +40. Exlinkevents is the producer and organizer of the 8th Customer Lovefest - Customer Experience Management Conference in the Philippines. 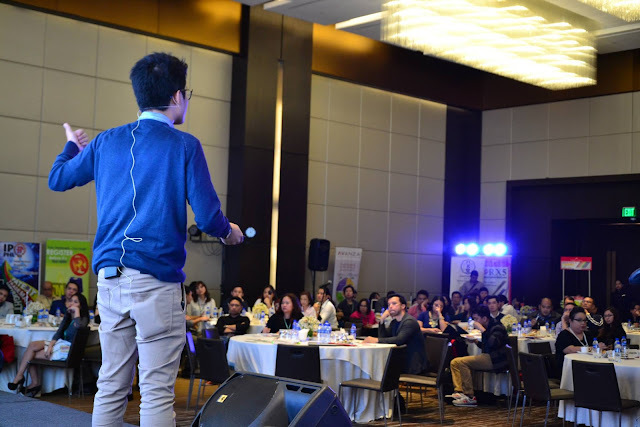 Exlinkevents is one of the leading business events organizer and MICE Planner in the Philippines. MICE comprises four event subfields. They are Meetings, Incentive Travel, Conferences and Conventions, and Exhibitions. In some countries, MICE is called Business Events. As the Incentive Travel is removed and delegated to Travel and Tour Operators or Destination Management Companies (DMC). Meeting is a gathering of two or more individuals convened for the purpose of achieving specific goals. The Convention Industry Council defines meetings as a gathering of 10 or more individuals for a minimum of four hours in a contracted venue. 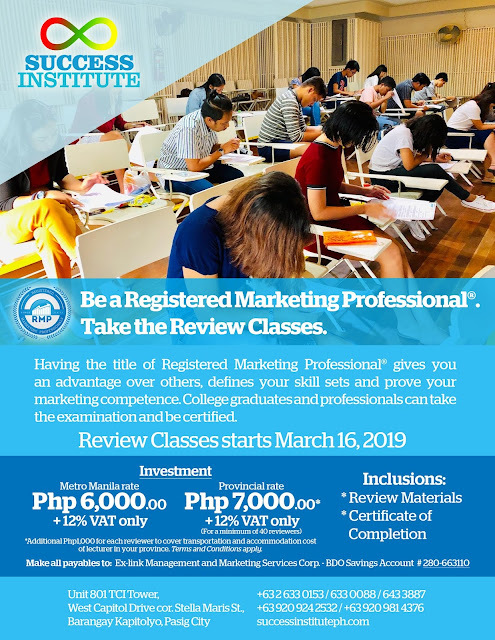 The Registered Marketing Professional (RMP) Review of Success Institute Philippines starts this March 16, 2019. Success Institute Philippines is a licensed Registered Marketing Professional and Registered Business Professional Review Center of the Junior Achievement Philippines (JAPI). 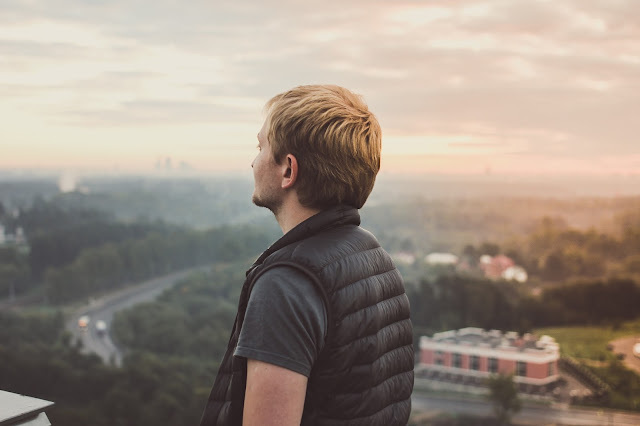 RMP and RBP are certifications that give you an edge as you pursue your goals to be a successful professional in the field of marketing and business. Event Planners are in demand. They make the life of the associations and corporations easy. Event Planners are not an expense. A failed event is. For those wanting to jump the event management industry as event planners, here are some guidelines that you can use to deliver a successful event to your clients. John Doerr in his book Measure What Matters popularized OKR. A tool used by Google, Intel and Bono of U2. It is simple yet powerful. If you are an event planner make sure you know the objectives and key results of the clients. In the objectives, make sure you know the primary and secondary objectives. This will help you achieve the minimum and maximum expectations of the clients. Key Results is the numerical expression of the objectives. It will tell you if you have achieved the objectives. Objective: Establish Event Y as the leading event of the industry. As you can observe, the client wanted to attract 15,000 visitors in three days. This is the first key result that the client wanted to achieve. This becomes the primary objective. As an event planner, you must assemble a winning team. A person that will become part of the team must be placed according to their core competence. One big factor when you are deciding who becomes part of your team is their attitude. Are they self-starters and need less supervision? Can they think on their feet alone? In other words, are they leaders? Forming a team of leaders is the key to creating a winning events team. A timeline you created as an event planner and approved by the client sets the motion of accomplishment. In the timeline, important schedules and accomplishments are highlighted. The point persons are shown. A clear and simple timeline allows faster implementation of tasks. As an event planner, you are tasked to help the clients and associations to create a differentiated event. A differentiated event is an event that stands-out with other events. It offers a fresh presentation of past events. It communicates value to its target market. If your target market is excited about your event whether it is an expo, conference, corporate event or trade event, you have done your job as an event planner. OKR achievement is dependent on a realistic budget. The budget ensures the plan becomes alive. Oftentimes, event planners are guilty of pleasing the clients even if the budget provided to them will not allow the achievement of even one key result. Seasoned event planners know that the budget is critical to the success of the event. At the start of the engagement, experienced event planners have already established the deliverables of a particular budget. If the budget is right, they can achieve what is promised. If the budget is not sufficient, they calibrate the key result; and inform the clients with candor what is doable. Lastly, Event planners need to earn. We do not do events and help the clients because we feel doing it. We do it because it is our livelihood. Communication is the key to a good event planner and client relationship. As an event planner, ensure that every step of the way, there is always coordination meetings and post evaluation meetings. These meetings are venues of communications to thresh out differences, misunderstandings, insights and improvements. These meetings create bonds between event planners and clients. There are other things that we can add to these guidelines. 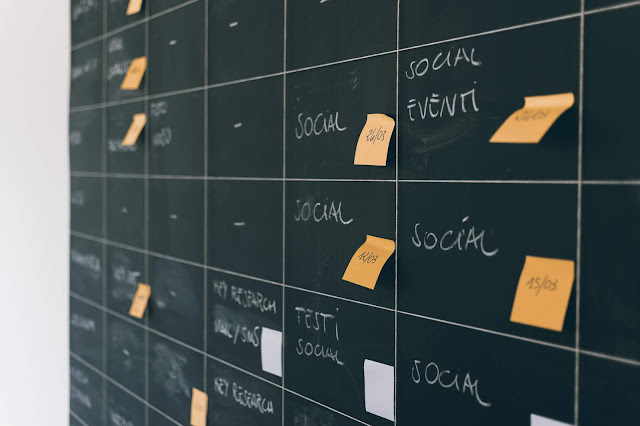 Still, if event planners focus and give special attention to these six guidelines, it is a guarantee that the event planners will be successful. Having said this, do you agree? Do you have any guidelines that you would like to add? Feel free to let us know.